+Darian Drake posted this funny commercial to G+ earlier today. The name of the energy drink "Flying Horse" brought back memories of something that happened when I was working at Verifone in the late 90's. Verifone does Point Of Sale (POS) terminals. One of their target markets is "Petro" meaning gas stations, pay at the pump, etc. 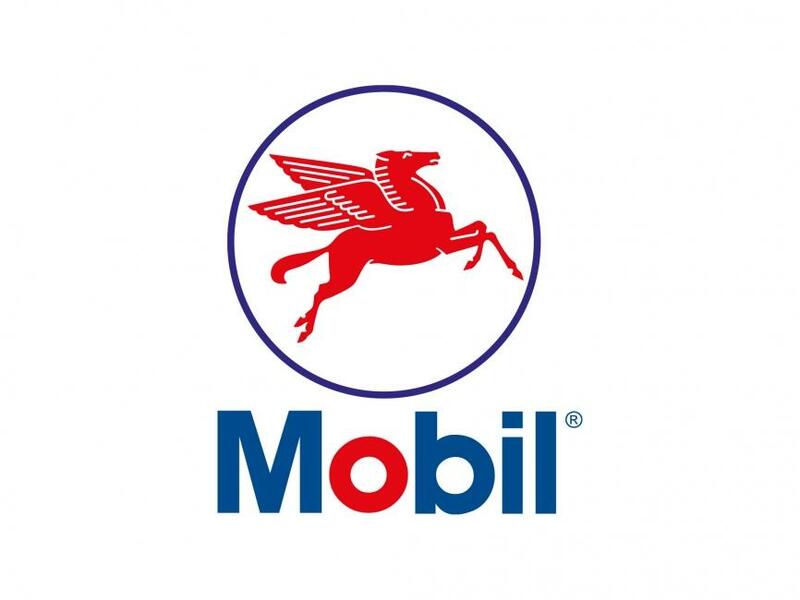 My project assignment was to prototype an RFID-enabled POS terminal for Mobil Oil, with one of the design elements being that the Mobil logo (a red Pegasus) would light up if the transaction was approved. The branded name for this system was "SpeedPass". The project's execution was problematic. We struggled to design a loop antenna that wouldn't have to be made by hand. The product used ultra-bright LEDs - fairly new at the time - and custom Lucite "light pipes" to illuminate the logos. The technician assigned to construct the prototypes procrastinated and ended up completing the work after the last FedEx pickup of the week. Strapped for time I was preparing to take the shipment box to a FedEx depot when the UPS guy showed up to make a delivery. I quickly filled out a shipping form for overnight delivery and handed the box over. Turns out the story was just beginning. Monday morning I came in to find several urgent messages on my desk. (1997 - I hadn't yet bought a cell phone.) The shipment had not arrived, and the sales meeting had started. People (including Verifone execs) had traveled to Mobil Oil offices for the meeting - this was supposed to be the deal closure. I quickly called UPS and got no answers. Unlike FedEx, UPS didn't track packages every time they're touched. The box had been put into a shipping container, and after that nobody could tell me anything. The box didn't show up later that day as the UPS helpdesk suggested it might. It didn't show up the following day, nor in the following week. I called the UPS helpdesk every day, seeking news. UPS wanted to compensate me for the loss, but how do you assign a value to hand-built prototypes? How do you file a claim against the possible loss of a multi-million dollar deal? I wasn't eager to repeat the painful prototype construction process. Sales wanted the prototypes YESTERDAY - literally. Ten days after my first call to UPS I was on the phone with the helpdesk. I'd been speaking with the same person each day and while he was nice enough we'd made no progress. Somehow I wound up telling him about the custom Lucite light pipes, and the Pegasus logo. "What's a Pegasus?" he asked. "You know, Pegasus. The mythical flying horse?" [typing sounds in background] "I found it! The box is in an overage center, listed under 'flying red horse' - we can have it delivered tomorrow." That the shipment was listed under "flying red horse" is astounding. The prototypes did indeed have a red Pegasus logo, but they also had the Verifone logo on the model/serial number plate. They were inside individual boxes with the Verifone logo, and those boxes were inside a larger box again with the Verifone logo. Someone had to have opened all the boxes, ignored multiple Verifone logos, and decided to list it by the 1 inch diameter Mobil Oil logo. I sent an email to the team letting them know that (a) the prototypes would arrive the following day, and (b) the project name henceforth would be "Flying Red Horse".